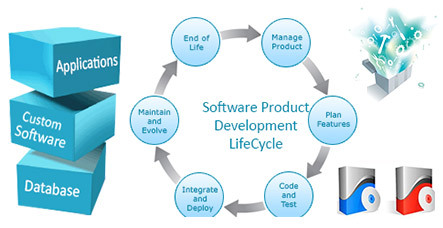 CPN: Offshore Software Development, Outsourcing Software development, Web Development, website Design. We understand that being successful on the net starts by empowering every corner of our organization, from CEO to staff, to think and act in a way that describes the culture of information sharing - an E-culture that propagates a web-enabled business mindset. Our leaders (or 'mentors' as they prefer to be called) approach the processes of strategizing and decision making with a collective attitude which emphasizes vision and character, providing guidance to and empowering our organization to remain focused on achieving our goals. Quality consciousness permeates our organization and quality procedures form an integral part of our development process. Our internal operations and workflow are designed to effectively achieve targeted results. Aligning all operations through our in-house intranet and the extensive use of project management tools are in keeping with the process-centric approach that we adhere to. Business processes are monitored and integrated into IT services across the entire organization. We aim to continuously improve our processes and take them to a higher level of sophistication through establishing an infrastructure that utilizes effective software development and management across all projects. Once our client's goals are identified, we execute projects with a confidence gained from possessing the appropriate resources and competency to achieve them efficiently. Our technology is structured to support business, and the scope of our infrastructure includes network services, hardware, software and the security required to make our client's goals a reality. We believe that technology makes life simpler. Our solutions are flexible enough to accommodate change and are customizable to our client's needs. We communicate openly with our customers and foster a relationship of frequent feedback and interaction. Centerpoint Networks provides proven technologies in a cost-effective fashion, offering solutions to businesses in North America and Europe from our offshore development center in Kathmandu. © 2004 - 2016 Centerpoint Networks Pvt. Ltd . All rights reserved.